Dashboards that show key information you need at a glance. 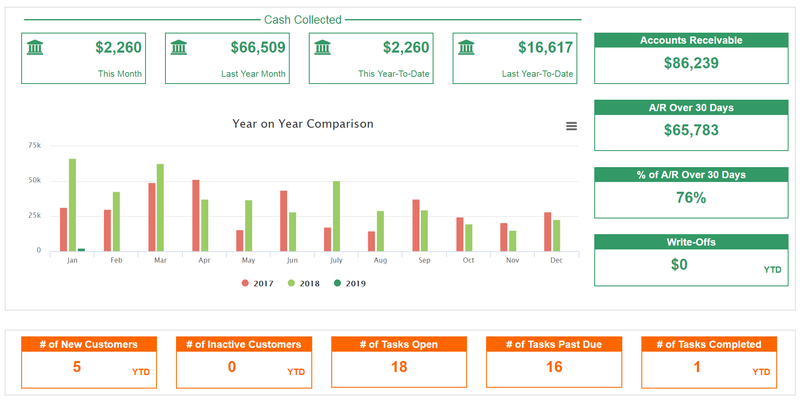 Stay organized and motivated with dashboards! Stay focused. Keep it simple. No more sticky notes! Just what you need get control of those small miscellaneous things you need to do. Easily filter or search for the To-Do items you need see. By Status, Priority or Category or simply start typing in the search bar. You can add new To-Do’s from the dashboard, or the Quick-Add button which is available anywhere in the application. Our approach to designing dashboards is like art-work. Layouts that are easy to read and provide the information needed to know performance and easily identify trends. Easily spot trends by easily comparing key metrics to prior years and periods. Seeing important numbers in real-time lets you quickly see performance. Get all your information in one place. If you are tracking time, see your billable and non-billable time at a glance. Visually see if you are on target to meet goals. Visually see how your work week is shaping up. The Leaderboard is a motivational tool showing rankings for the entire organization. See all your important information including your appointments on the Dashboard.